What is the first thing most people notice about you? Do you think it’s the clothing you chose to wear? Do you think it’s the hairstyle you decided to create this morning? Your smile is the very thing people first notice about you. Almost immediately, you smile sends a wide range of emotions and messages to others. 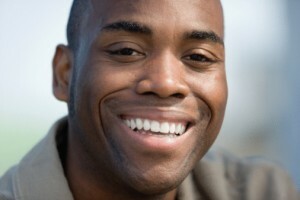 Flashing a bright, white smile can have a significant effect in the professional and personal aspects of your life. Elmbrook Family Dental can help you enhance your smile and give you wonderful, luminous, white teeth. Discoloration in your teeth is unavoidable. Certain foods and beverages can stain your teeth, and your teeth with begin to acquire a yellow hue over time (this happens naturally). Our brilliant doctors and skilled, intelligent team of practitioners offer a magnificent teeth whitening treatment. When you walk into our office, we will talk with you and listen to your personal goals, what kind of look you want for your teeth, and then walk you through our procedures. We are passionate about helping our patients meet their goals, and we love to see our guests walk out of our building with giant smiles stretched across their faces. We offer both in-house and take-home whitening treatments. For our office treatment, we will bring you in, have you sit in one of our comfortable chairs, and apply Zoom! whitening. This high-peroxide gel will rest on your teeth for about an hour, and we will use a special low-heat light to activate the chemicals and speed up the process. If you are unable to stay in the office for an appointment, we can provide a take-home kit. The kits are simple and easy to use. You will apply a gel on a set of dental trays and insert them around your teeth. Our dentists will tell you how long to leave the trays in your mouth, how many times to conduct this process, etc. It’s time to get the smile you always wanted. Obtain the smile of your dreams by calling us today and scheduling an appointment. We are proud to serve the residents of Brookfield, WI, Elm Grove, Milwaukee, Pewaukee, Waukesha, New Berlin, and the neighboring communities.